Whether you want to live the island life with a coconut in hand or head inland on a jeep for some incredible adventures, there are countless spots dotted throughout our oceans which will oblige. Here I’ve rounded up some of the best island vacations you can enjoy, and many of them won’t break the bank, unlike more luxury island vacations. I have no shame in admitting I’m an addict for the island life, but as someone who tires quickly of lazy days in the sand, I’m often looking for something a bit different. These unique island escapes each offer something special. Whether it’s a wildlife-based exploration, a fascinating geographical element, or a slice of culture you won’t find elsewhere, here is some inspiration from my past five years of travels. In the far east of Indonesia, off the coast of West Papua, a mesmerising mix of micro-climates, marine-rich reefs, dazzling sunsets and local traditions awaits. 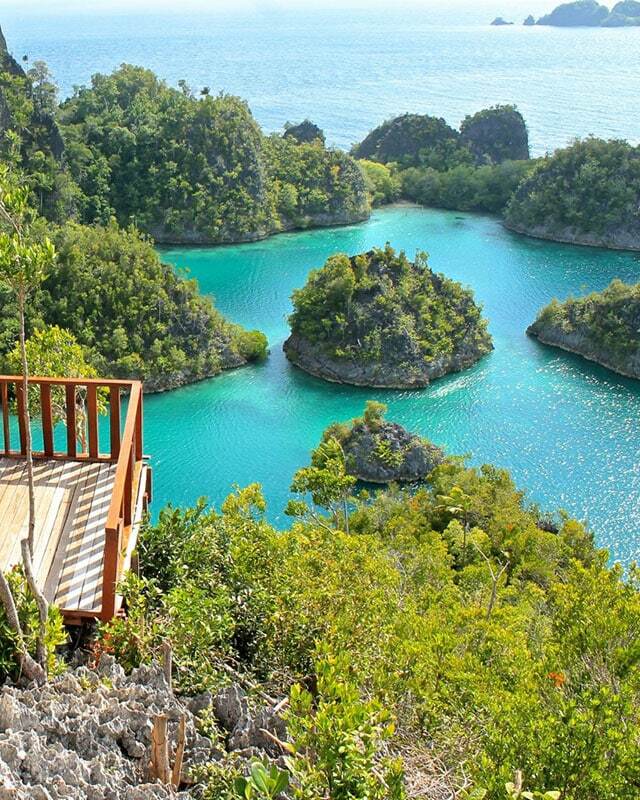 Raja Ampat, translated as the four kings, is a collection of Islands making up this archipelago. A remote adventure, during my time here we were limited to a few hours of electricity a day from a clapped out old generator, but the perfect sunsets and reef sharks swimming beneath our feet more than made up for any luke-warm beers we had lugged over from the main port. Getting to Raja Ampat is quite a journey, once you’ve taken the one or two flights to Sorong, West Papua, a three-hour ferry connects you to the island of Wasier before smaller boats ferry you to remote island homestays. With some of the most diverse underwater conditions you’ll find, it indeed is a scuba divers paradise. So say goodbye to your phone signal, grab your mask, and head to one of the most unspoilt beauties in the world. 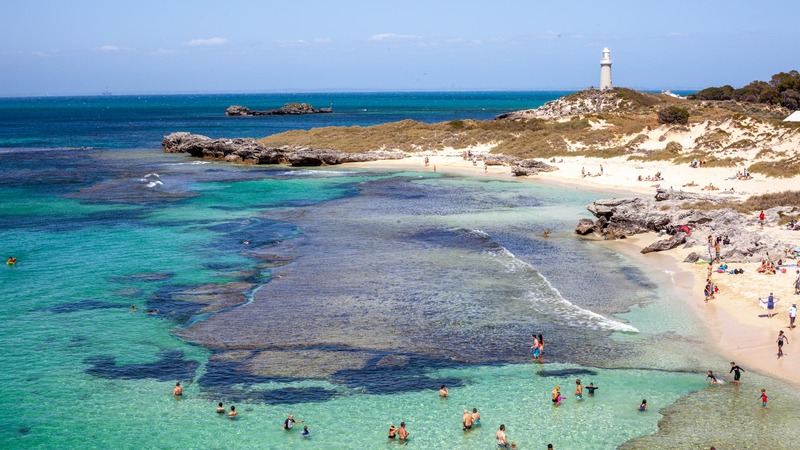 Off the coast of Perth, in Australias seemingly never-ending stretches of coastline and uninterrupted nature, Rottnest Island is slowly becoming famous world round. This may be down to its car-free way of living, with bikes being the go to get around, or perhaps the crystal clear waters and tropical vibes. 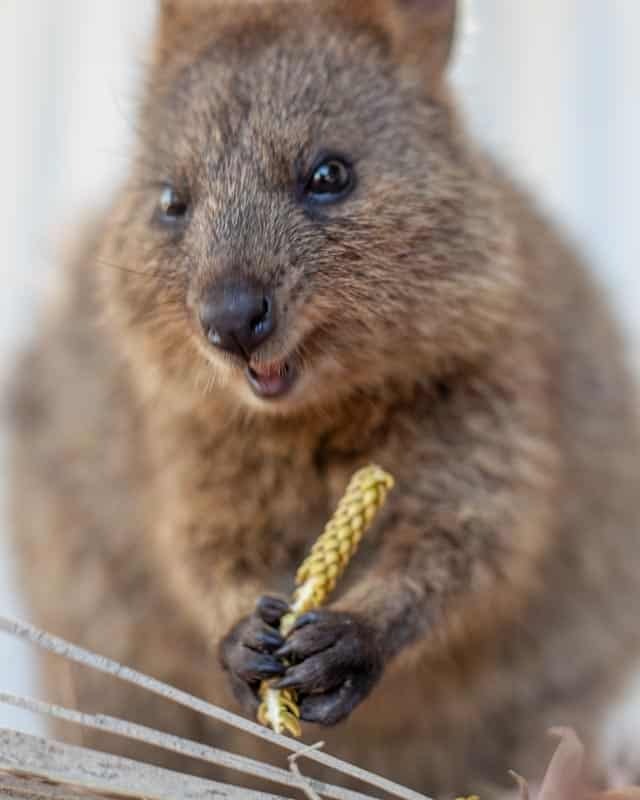 But really, I think the main reasons is the adorable Quokkas that call Rottnest Island home. 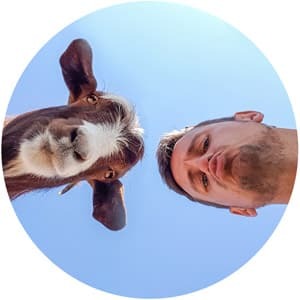 Often referred to as the worlds happiest animals, thanks to their tendency to have a beaming smile and readiness for a selfie. Cycle the island, spot these cute critters, and enjoy some of the freshest seafood in the Pacific. Teamed up with a visit to Perth, one of the most remote cities in the world, and you’ve got yourself a sampler of Western Australia that might have you hooked for more. 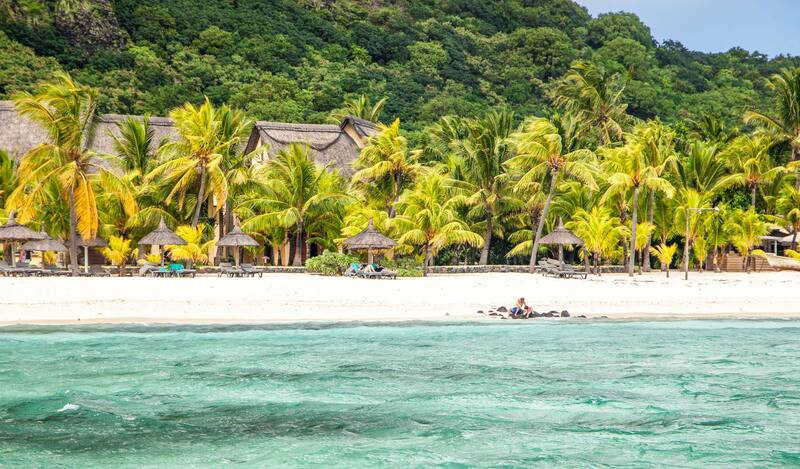 The island nation of Mauritius, tucked away off the south-eastern African coast might conjure up ideas of untouched beaches and honeymoon escapes, but there is much more to discover beyond the beaches. Mauritius was truly one of the most surprising destinations of 2018 for me, I knew the sands would be white, and the lapping waves would be calling, but it was the island adventures that really surprised me. From crashing waterfalls without a soul in sight to rum distilleries and cocktails for days, there are countless reasons to visit Mauritius. None other than the hospitality and warmth of the locals. To start to get a true sampling of the island life, leave the resort and head to the central market in the capital of Port Louis before venturing off to explore the monkey-ridden hikes, tea plantations and religious temples. A bevvy of new AirBnB options are also making Mauritius a more affordable destination than many would imagine. While Scotland is home to countless islands, there is more than one reason why the small but stunning Isle of Skye has become so popular. In fact, it has become so popular that over tourism has started to become a real problem here, so plan your visit to this Scottish isle during the offseason. The island is linked by ferry or bridge to the mainland, and you’ll find a variety of attractions that are all crowd pleasers. From the incredible views that a hike around Quaraing, a set of towering rocks, to the magical and mystical fairy pools and fairy glen, the island provides ample opportunities to enjoy Scotlands famed nature and landscapes. There are countless reasons that Indonesia is my favourite country, and Komodo National Park is one of those. A testament to the vast variety of wildlife and adventures that span Indonesia’s 17,000 islands, here you can come face to face with dragons. While later in 2019 tightening of visitor permits, and another planned entry hike to the quite substantial conservation fee are due to come in, it’s still somewhere well worth visiting. 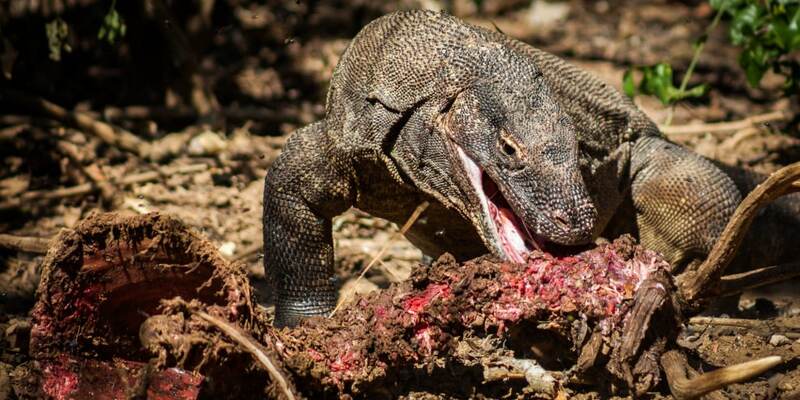 The Komodo dragons, a giant lizard which can grow to 2.6 metres in length, may look docile while lounging around, but when they pick up the pace, a single bite can kill. The dragons are residents on a few of the islands and must always be visited with a local guide. Other islands in the park, such as Padar, are free of the big beasts, but offer incredible panoramic views from their highest points. Charter a private boat or join a tour to see some of the islands in one day, or take a liveaboard for a more extended adventure. Most boat trips kick off from Labuan Bajo, Flores, accessible by air from various Indonesian airports. A little gem I had no idea I was going to discover in 2018 was Nisyros Island. Mainly because after meeting a bunch of strangers at Edinburgh Festivals this summer, I was invited to gatecrash a trip to Kos a few weeks later. While Kos Island is a relaxing beach resort retreat, the small town of Karamedema where I stayed is the launching point to Nisyros. Unlike most islands, this tiny dot in the Aegean Sea is actually an active volcano and how often can you say you slept at one of those. 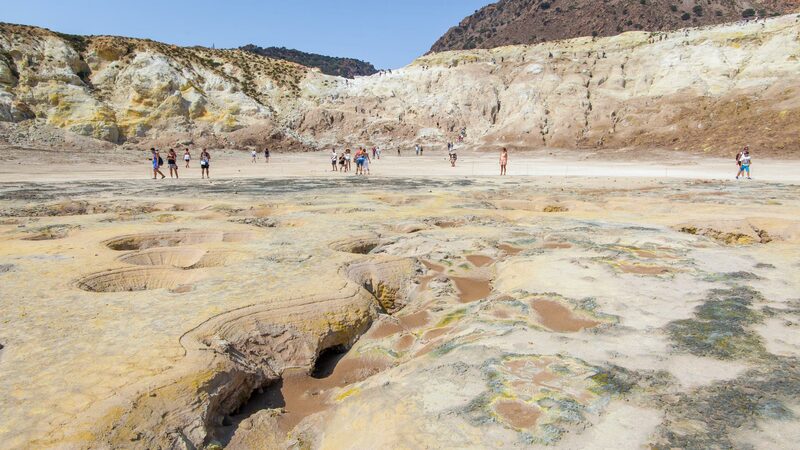 Nisyros Island is quite small which makes the whitewashed villages that circle the volcano crater the ideal place to switch off and escape reality. Complete with those white streets, blue paint, and hanging flower pots, you get all those Greece vibes, while feeling like you have stepped back in time by at least 30-years. Tours to the crater allow you to walk across it and admire the bubbling sulphur fumes that rise from the cracks at close up proximity. Continuing the volcanic theme, but one the other side of the world is Whakaari. One of the hidden gems of New Zealand’s north island is this White Island, a short helicopter or boat ride away from the mainland. This certainly isn’t somewhere you’ll be checking in for the night, but if you find yourself exploring Aotearoa (the Māori name for New Zealand), then Whakaari is a fantastic day trip. 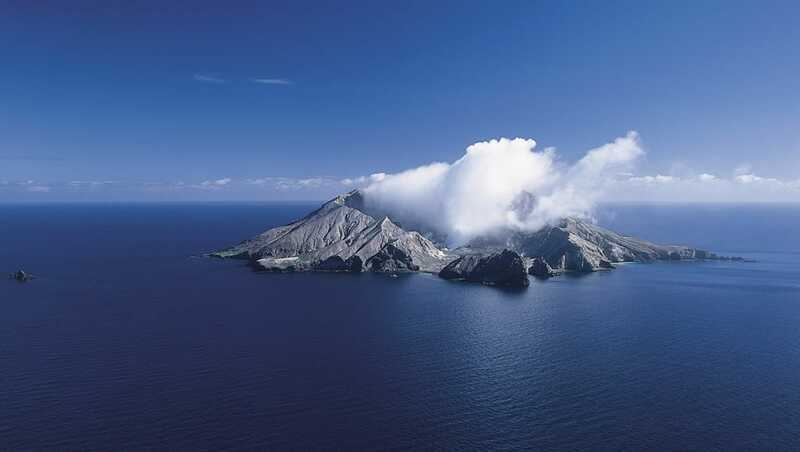 Around 50-kilometres off the north island, the majority of this active volcano is actually underneath the water level, which makes arriving to this geothermal beast quite a sight. The inner crater is a fascinating mix of multicoloured sulphur stains, bubbling pools of hot mud and a dangerous lake of acid. The journey to the volcano by boat is just as rewarding, as dolphins and whales can often be spotted playing along the route to Whakaari. The pearl of the Indian Ocean, Sri Lanka is basking in its moment on the world tourism stage. While I’m sure plenty has changed since my visit in 2015, the sheer beauty and charm of the country surely won’t have. While politics have been heightened in the past, other than a situation in late 2018, the island is opening up, and restricted parts of the north are now accessible. 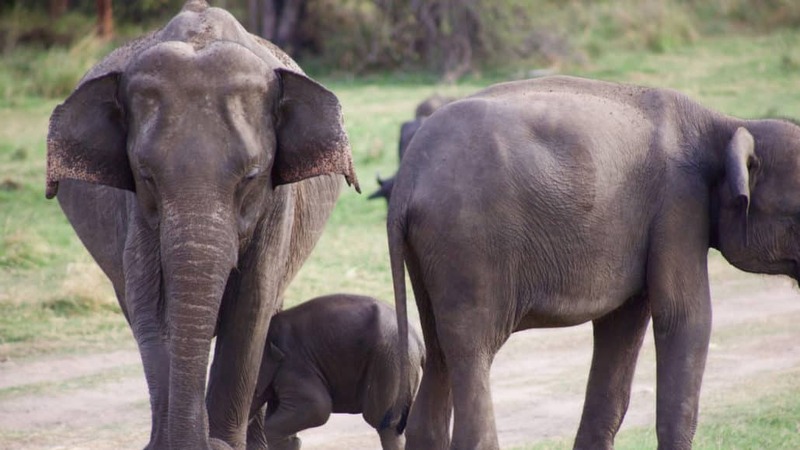 A ‘standard’ route around Sri Lanka will take you from the misunderstood capital of Colombo to the cultural triangle of ancient ruins, citadels on towering rocks and national parks offering Elephant safaris. 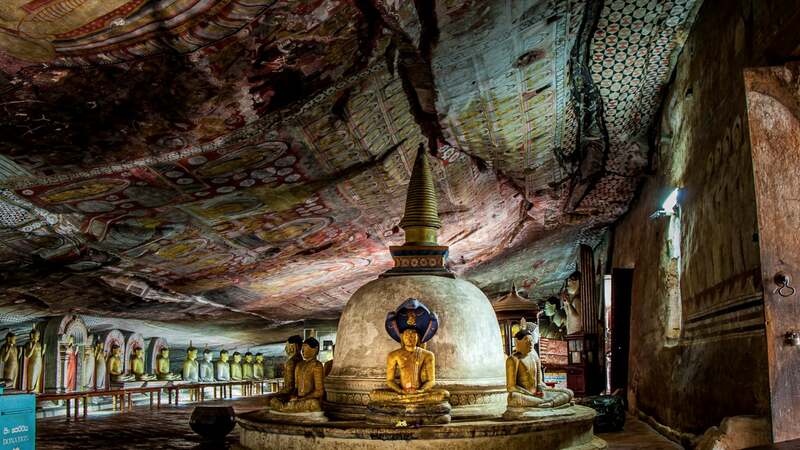 From here, the city of Kandy is home to the Buddha tooth relic and a starting point for the famous slow train that will whisk you off the lush, and cooler, hill country and tea-plantations. Find yourself an empty beach in the south to round off an island escape that offers numerous unforgettable experiences. 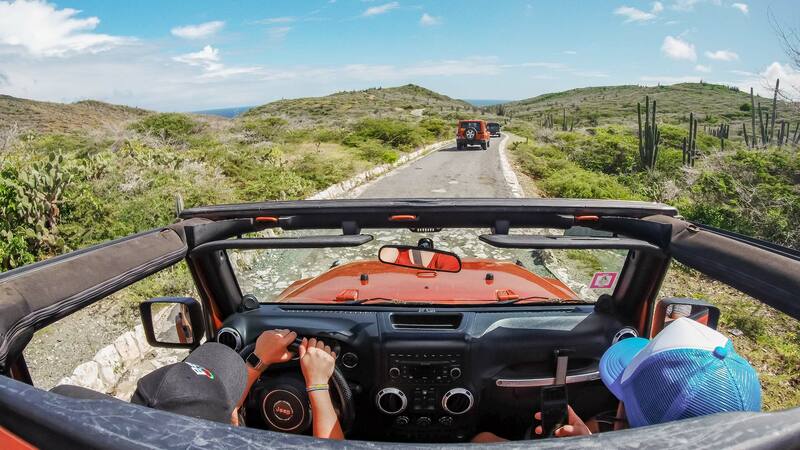 Aruba may be best known for its resort and palm-fringed beaches, bustling casinos and sometimes chaotic cruise port, but drive five minutes away from these, and you’ll find an untouched landscape ripe for adventures. It may be a small island, but it certainly packs a punch when it comes to outside activities. From the rugged beaches and incredible snorkelling to the slightly deeper scuba diving adventures around shipwrecks and sunken aeroplanes, the water life here ticks all the boxes. The Arikok National Park also provides numerous activities, from historical cave paintings to a cacti stewed landscape with roaming goats and donkeys and off-roading adventures. 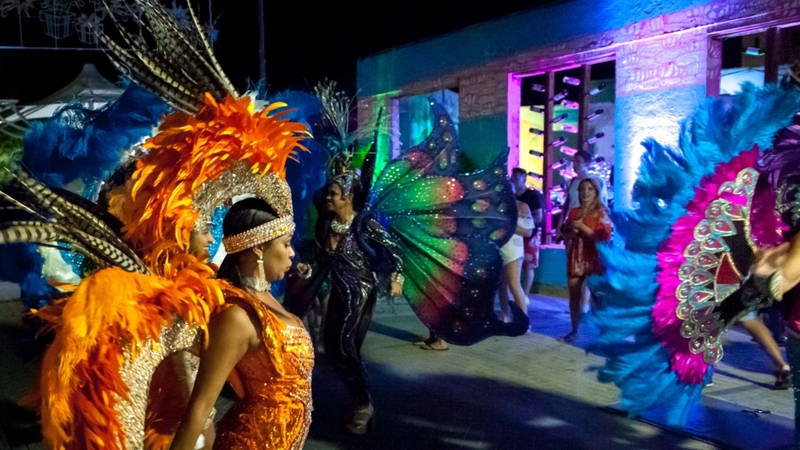 Culturally, the Aruba Carnival, which runs from January to March each year is the big draw. As the streets come alive with colourful and bejewelled outfits, and steel drums and brass bands ring out through the streets, the passion and hospitality of the locals shine. Fear not though, for if you visit outside of these months the Thursday festivals in San Nicolas, the second city which is being revived through incredible street art and colourful facades, will give you a taster that will leave you wanting to return. I was torn whether to include Socotra, given the horrific and ongoing humanitarian crises in Yemen. But, given Socotra it is some 600 odd kilometres away from the mainland, floating in the sea nearer the coast of Somalia than its home nation, I have decided to. While the island has been cut off from tourism for some years, and the landscapes have likely changed since the UAE have set up a military base here, there is no denying it is one of the most unique and biodiverse islands in the world. While I haven’t visited personally, it has been on my bucket list since my good friend Nicole who visited many years ago introduced it to me. Many describe it as an alien island, thanks to the unique landscapes, trees, dunes and crystal clear waters: it is one unique island adventure you will never forget. 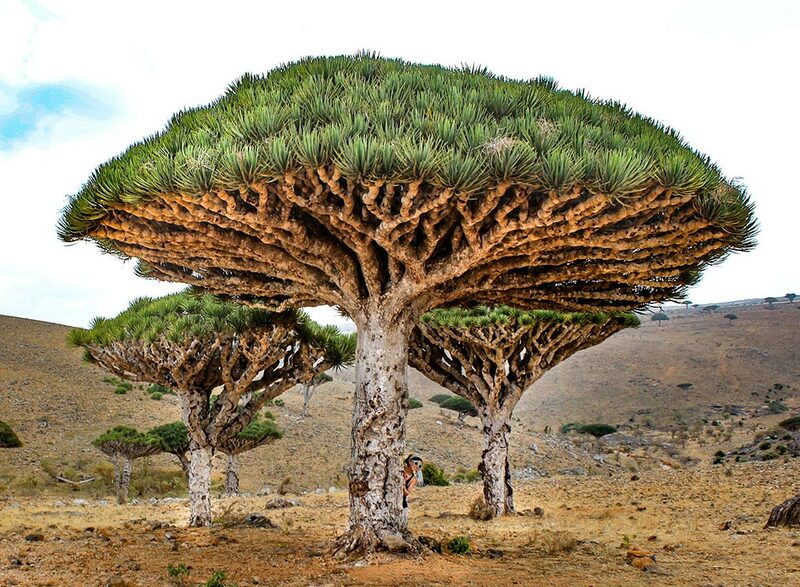 Nicole will actually be heading up a tour to Socotra this year, as new air routes can be chartered. If you opt to visit Socotra after weighing up the reality, you’ll be rewarded with the chance to see one of the most unexplored and special places on our planet. Check out Nicole’s photo post on Socotra to see more of what I mean. Off the east coast of Australia, Fraser Island offered me some firsts. As the worlds largest island wholly made of sand, as in 120 kilometres of it, it completely fascinated me. On the clear stretches of beaches that act as a runway for flights to land, you can cruise along the sand in your 4WD, being sure to give way to sunbathers or incoming aeroplanes. Wildlife and the stunning coastline compliments freshwater pools in the midst of the island, such as Lake McKenzie with its clear waters and snow white sands. Crashing waves at the Indian head provide natural rocky swimming pools while ribbons of multicoloured sand provide ample photo opportunities. 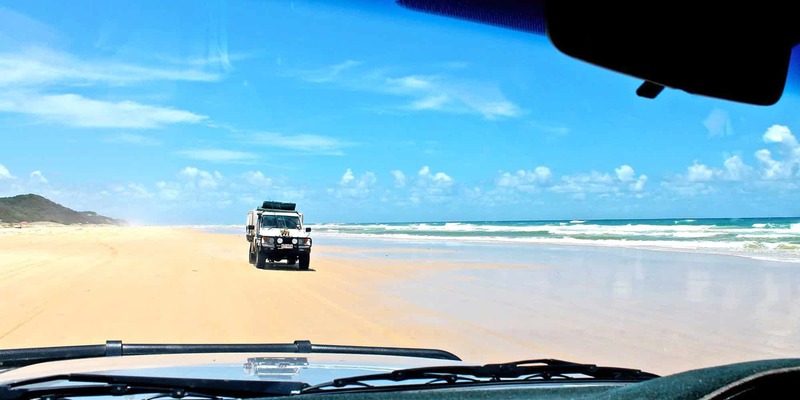 While you could do Fraser Island as a day trip, it’s one of the best ecotourism destinations in Australia to head to and recharge, while enjoying this all-natural playground. East of the Panama Canal is an archipelago of islands and sand specks. Although over 360 of these sandy escapes can be found, only around 50 of them are inhabited. Some are tiny sand cays, others are islands with communities, but with rising tide levels the concern of many disappearing is real. 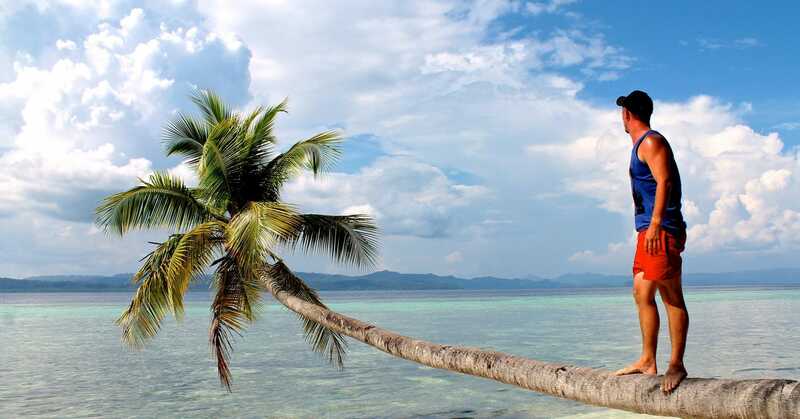 Beyond the obvious reasons to visit: remote sandy beaches, palm trees and lapping waves, they provide a fantastic place to island hop thanks to the relative proximity. A digital detox is ensured on many of the islands, and with family-run accommodation the norm here, it is still an authentic experience. Tourism only opened here in the 1940s, and The Guna Yala who are the indigenous people of the islands now share their culture with visitors. From Panama City, a three-hour jeep ride through a jungle will transfer you to the port to access the archipelago. Fiji felt like being welcomed home by friends from the first Bula! Arriving at customs with a guitar serenade put on by the airport, the island vibes, or Fiji time as the locals call it, began straight away. Laughter and smiles crack as often as coconuts here, and you can really tail your island experience to suit you. The main island, Viti Levu, is home to Suva the main cruise port and Nadi the airport, and as such is the gateway to the archipelago. Backpacker travel is starting to grow here, based out of Nadi, thanks to more affordable options sprouting up around the airport and plenty of day trips from Nadi. A short drive away at Denarau Island, though not really an island, is where you’ll find the luxury resorts. Fiji still felt quite real to me, as soon as I stepped out of the resorts, and I think that’s something you won’t always find on heavily touristed islands or at the resorts of the Maldives Whether you want to relax on a beach with a massage, do watersports off a private island, stroll through lush national parks or embrace the cultural side of island life, Fiji offers everything up in a safe, family-friendly environment. Very much at the top of my bucket list is the Galapagos Islands, a biodiverse wildlife haven in Ecuador. While cruising the islands can be very expensive, those with the luxury of time can wait around the main port for a last minute departure which usually carries a heavily discounted fee. Preserving the delicate eco-system of the islands is a top priority here, so only a handful of the islands are inhabited, and most have strict limits on the numbers, and hours, visitors can come to marvel at the wildlife. For those who make the journey though, the rewards are plenty. From giant land turtles to waters teeming with hundreds of fish species, above and below the ocean are an animal lovers dream. With many of the creatures who call these islands home not found anywhere else on the planet, this indeed is a journey unlike any other. 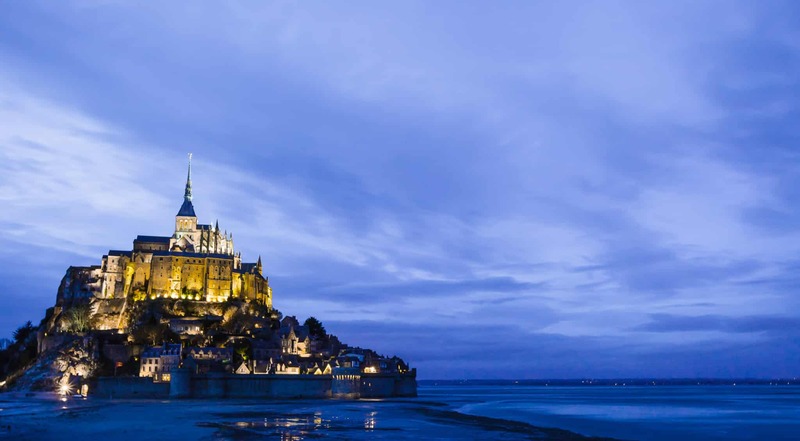 Once a monastery, and then a convent, and now one of the most famous tourist attractions in Normandy, and indeed France, the island of Mont St Michel is undoubtedly unique. If the tides are low, you can walk or bus across to the island, but at high tides, it returns to being completely cut off from the mainland as it once was when it was a strategic defence location. While this is a day trip rather than an island escape, if you venture to northern France this island should undoubtedly be on your agenda. You can walk through the Abbey, explore the houses and shops at the lower levels, and even check into a hotel if you wish. Located just 1 kilometre off the coast of Normandy, it’s an easy island to access. Many people don’t know that across the channel, in Cornwall, England, a similar island defence system can be found at St Michael’s Mount. Singapore’s reputation may be for high-rise tower blocks and modern architecture, but at the handful of Islands off this city-state, there are some surprises. Personally, I always saw Singapore as more than a stopover. Partly due to its picturesque China town and little India, incredible street food, but also due to the islands such as Pulau Ubin. 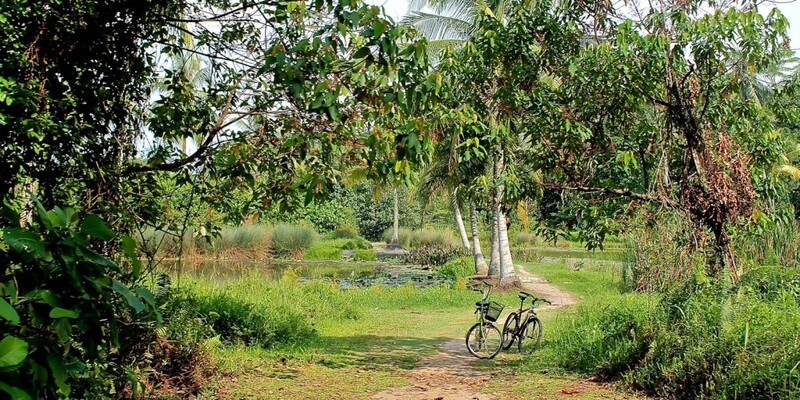 The overgrown, jungle-like vibe of the island feels a world away from downtown Singapore, and it’s best explored by bicycle. Once you’ve taken the little bum-boat from near Changi, you’ll quickly be delivered to the mangroves and a wooden boardwalk over the waves. Large lizards run freely, and it feels very much like you have ventured to Jurassic Park, a far cry from modern Singapore. If you visit the lion city, do yourself a favour and take a day trip here to reconnect with nature. Another one on my bucket list, the Loften Islands in Norway are starting to garner more tourism interest as images of the snowy landscape, and colourful houses grace more and more Instagram feeds. The archipelago of islands making up Loften provides a dramatic vacation, whether that is from watching the northern lights, admiring the peaks of the rugged mountains or learning about the Viking history in the nearby museums. In warmer climates, cycling provides a great way to venture between the colourful and often wooden houses of the small fishing villages, while winter adventures are more likely to bring the northern lights on clear, long evenings. Wildlife spotting is of course high on the agenda here, and while the price tag for visiting Norway is always high, I don’t know anyone who has returned from the Loften islands disappointed. 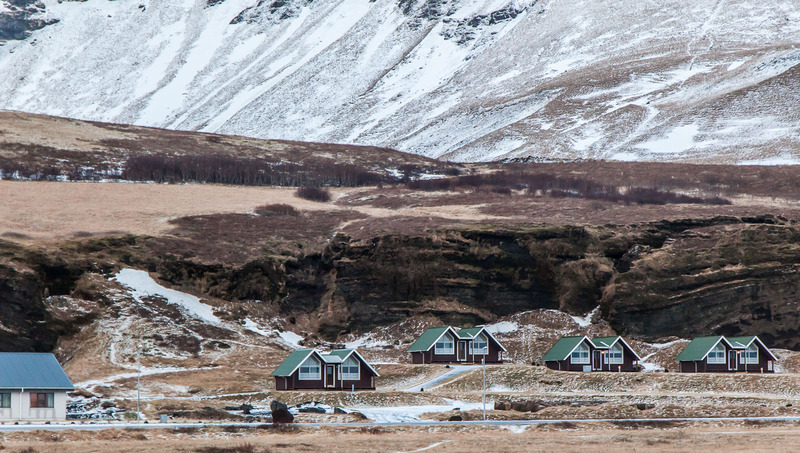 The island nation of Iceland has certainly not been without its tourism attention in recent years, and that’s all with good reason. As one of the most progressive countries in the world, human rights and environmental concerns are perfectly balanced here alongside plenty of traditions and my visit over Christmas and New Year taught me plenty about that. You can snorkel or scuba-dive between tectonic plates here, visit black beaches covered in ‘diamonds’ of glacier ice, take a dip in the world famous warm blue lagoon or venture out on the road trip of a lifetime. Whether you spend your days marvelling at waterfalls and geothermal landscapes or climbing on top of glaciers and into ice caves, a trip to Iceland provides the ultimate winter playground for adventure lovers. I’ll round off my list with one of my favourite islands in the world, Bali. While it may be one of the most touristy spots on the list, you can still find your slice of island paradise if you know where to look. Sure, the island has its problems which I’ve talked about here, but the good far outweighs the bad. 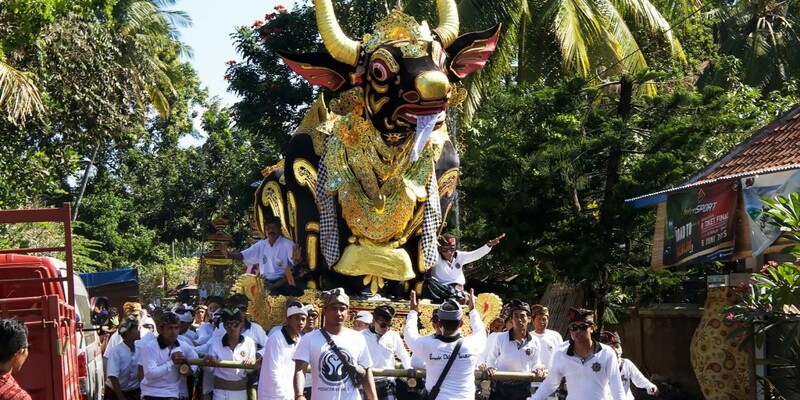 While many visitors will stick to Kuta or Seminyak, if you head inland, or to the north or east coasts you’ll find a much more authentic experience. Bali is a unique island in comparison to the rest of Indonesia as it is a Hindu Island, and you can spot this from the temples to the traditional festivals that can often close down streets. 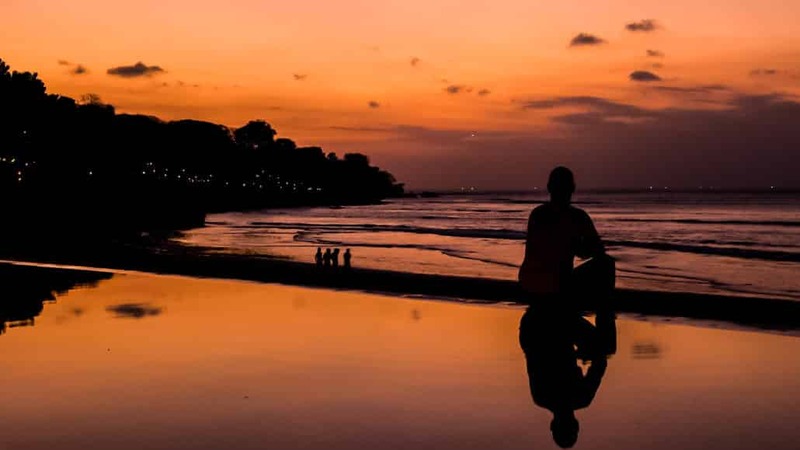 Travelling in Bali means living on island time and embracing these events, the journey is as remarkable as the destination. Hike at sunrise for some fantastic views of Mount Batur, visit the cultural hub of Ubud for temples and dense jungles inhabited by monkeys, or head to the black rocky beaches in the north for scuba diving, dolphin spotting or just some R&R without the crowds. From the multi-coloured lakes and crashing waterfalls in the centre of the island to the hip vegan cafes of Canggu, the Island of the Gods somehow has me falling in love a little more each time I visit. What is the population of iceland? I think its 3.5 Million. Our favorite island so far in the US has been the the dry tortugas. Of course, we haven’t been to any on your list. Thanks for the inspiration! Hey! I'm Dan and I am a little bit obsessed with exploring the world, meeting people on the road and can usually be found lost and attached to a camera. I've been lucky enough to visit 50+ countries and aim to share the best travel tips, stories and guides here on the blog. If you want to be kept up to date every month + get access to the latest deals and competitions sign up on the form just down there or feel free to stalk me a bit more if you need help planning a trip, click here to get in touch!